It may be the most wonderful time of the year for many people, but for youngsters having to stay in the hospital, the holidays can be anything but. 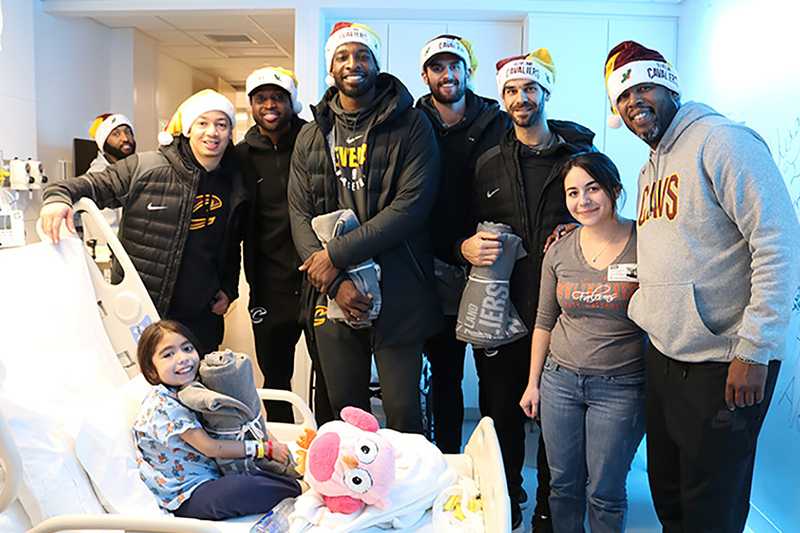 So with that in mind, the Cleveland Cavaliers set out to make spirits brighton Wednesday, visiting the patients at Cleveland Clinic Children’s as part of the Cavaliers Season of Giving, presented by Nestlé Baking. Head coach Tyronn Lue, associate head coach Larry Drew and assistant coach Damon Jones joined the full Cavs team to bring good tidings to the pediatric patients, and their families, currently staying at the facility. The players and coaches were broken up into groups, going from room to room and floor to floor, not only stopping in to visit, but delivering Cavs-themed gifts as well.